The social enterprise, Paradigm Initiative has released its 2018 annual report. The report provides insight into the work of the organisation, especially in how it lives up to its mission of improving the “livelihoods of underserved youths”. Featured in the annual report is Joy Ukpong, an alumna of the group’s free digital inclusion program. At the time of joining the program, 27-year old Joy Ukpong’s income was N10,000 a month as a struggling hairdresser in Ajegunle, Lagos. She was desperate for a break, and Paradigm Initiative’s Digital Inclusion program gave her the break which she wisely seized, learning relevant digital and life skills. Few weeks after the conclusion of the 10-week training, Ukpong got a job as an administrative assistant at a law firm. Her income immediately jumped to N25,000. Thanks to her new skills, Ukpong has a more stable income and work structure that allows her to develop herself. The Director of Programs, Tope Ogundipe said the passage of the Digital Rights and Freedom Bill in Nigeria is an important milestone for the group in 2018. 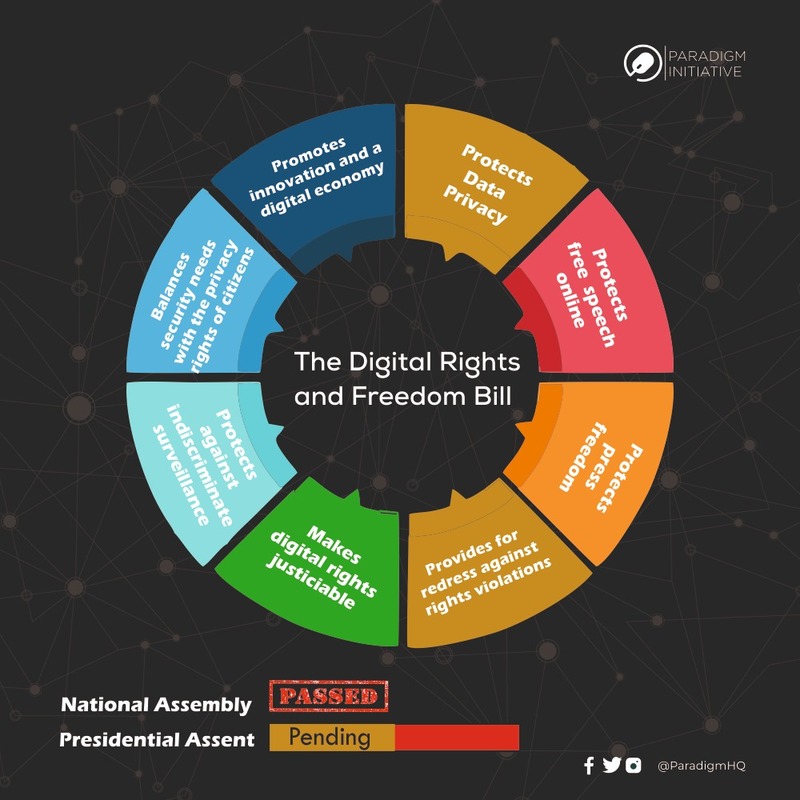 The Bill, which was transmitted to President Muhammadu Buhari on February 5 2019, has been a major project of the group since 2014 when it began advocacy for the passage of a law dedicated to the protection of online rights and freedoms. Paradigm Initiative, which was founded in Nigeria in 2007, is physically present in five African countries, from where it executes programs across the continent. The group said its new Strategic Management Plan (2019-2023) would even see it do more over the next few years. Ajegunle.org seeks to create better livelihoods – through ICT opportunities, entrepreneurship training, short‐term internships, Graduate Loan Scheme – for young people in Nigeria’s underserved areas. We invite you to view the project video at www.ireport.com/docs/DOC‐14359. Ego, like many other young people in Nigeria's most popular slum, was not sure of what tomorrow held for her. Now, she works at the Visa Section of the British Deputy High Commission in Lagos, thanks to her participation in the Ajegunle.org project. Funke, another project participant, grew her business of N2,000 by about 2,800% after the training. We are working towards the replication of the idea beyond Ajegunle, and are also keen on establishing the first Innovation Centre.